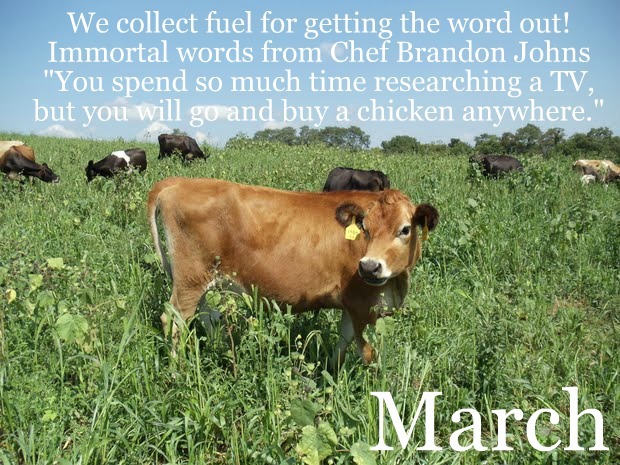 We hope all of this work brings us one step closer to making it easy to know where your food comes from. 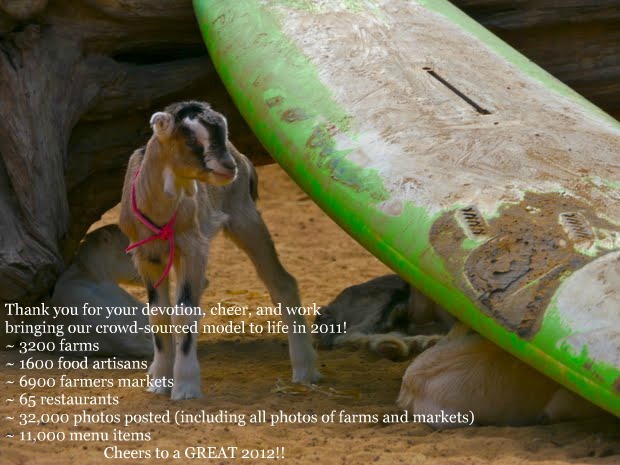 Sit back, relax, and peruse through the slides below for a month by month summary of the 2011 happenings at Real Time Farms. A new year, a new look. 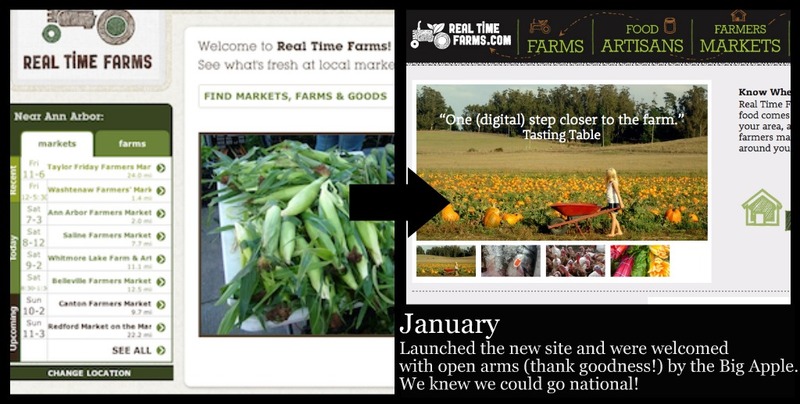 January marked the launch of the new makeover for Real Time Farms. 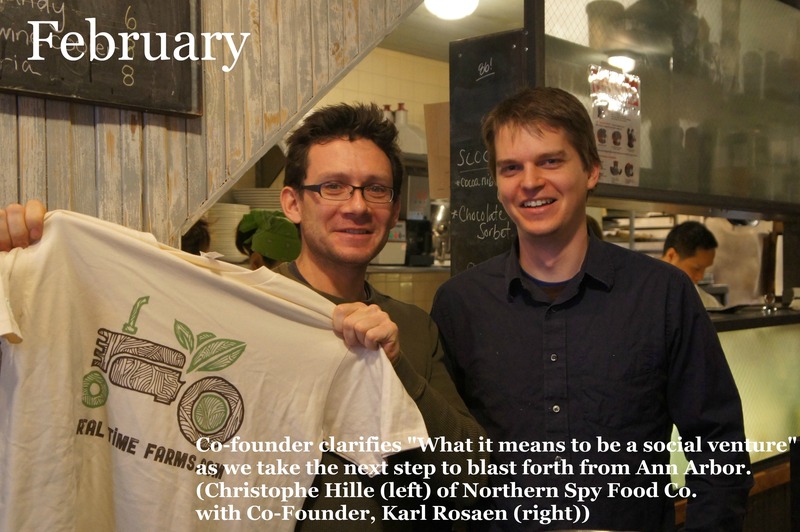 In the midst of a trip to NYC for TEDxManhattan’s Change The Way We Eat, we met with the chefs, owners, and foragers of our first restaurants in NYC: Northern Spy Food Co, PRINT., bobo, and Bark. We also met Chris Elam (former Program Director of Meatless Mondays), and presented for the Food + Tech Connect community, both who would become guardian angels in our growth. 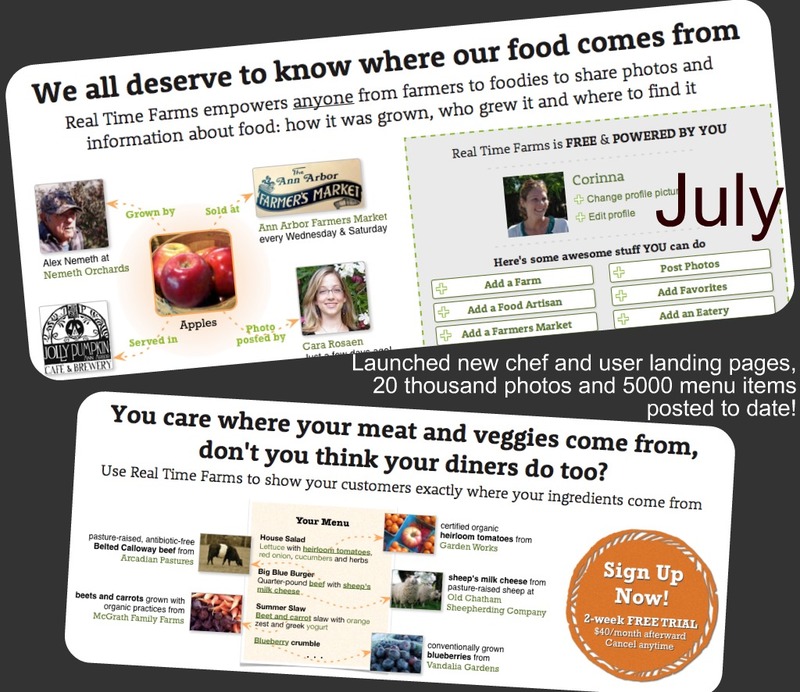 We get ready to launch our web tools for restaurants nationwide to tell the story of where their food comes from with their consumers (all of us!). Former manager of Zingerman’s BAKE and The Westside Farmers Market (and great writer! ), Corinna Borden, joins the team. We finish work on the ability for restaurants to put web tools on their own site allowing consumers to trace their food back to the farm it came from. 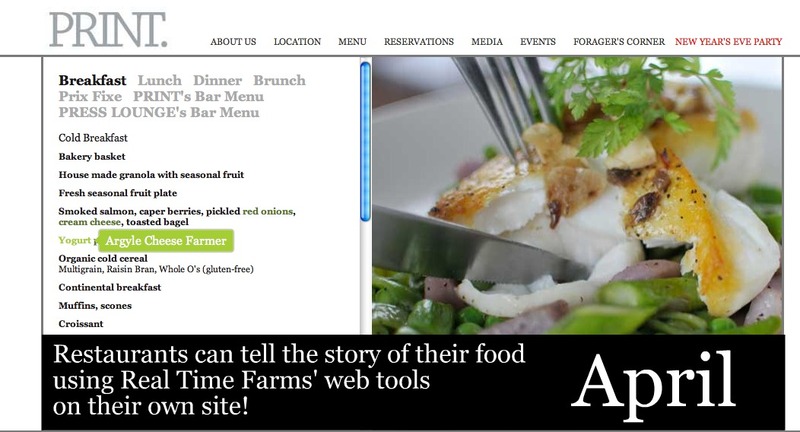 Now whether on Real Time Farms, or on a restaurants own website, diners can know exactly where their food comes from. Click on “beef”, see pics of the cows, learn about how they were raised – food transparency made simple. To our great excitement, Gaurav Bhatangar, our long time user interface engineer extraordinaire, joins the team full-time. One of the biggest months of the year for us! 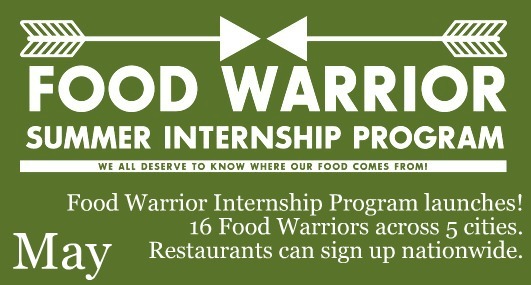 The Food Warrior Internship Program launches with Director Lindsay Partridge at the helm! 16 Food Warriors spend 3 months documenting (in writing, video, and images) the farms, food artisans, and farmers markets of 5 cities nationwide – showing communities how we can all contribute to a transparent food guide. Restaurants nationwide can now sign themselves up to use our web tools to tell the story of how every ingredient made it on the plate. 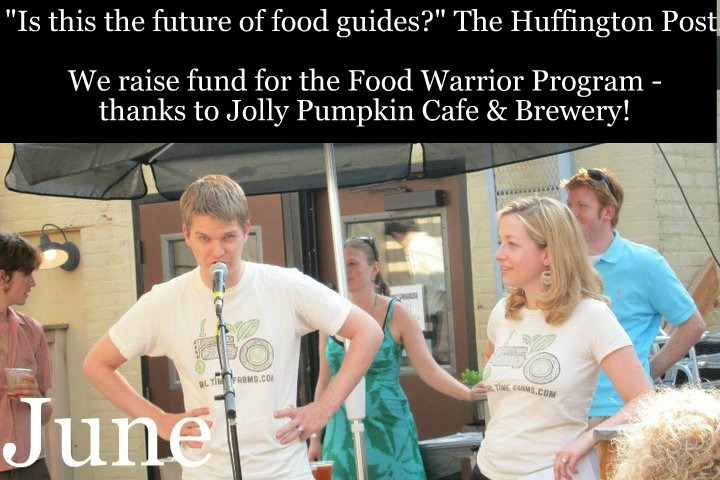 Thanks to Chef Maggie Long of Jolly Pumpkin Cafe & Brewery for an amazing spread, in our fundraiser for our Food Warrior Internship Program! Things start really picking up: 20K+ photos submitted to the site, and over 5K menu items. 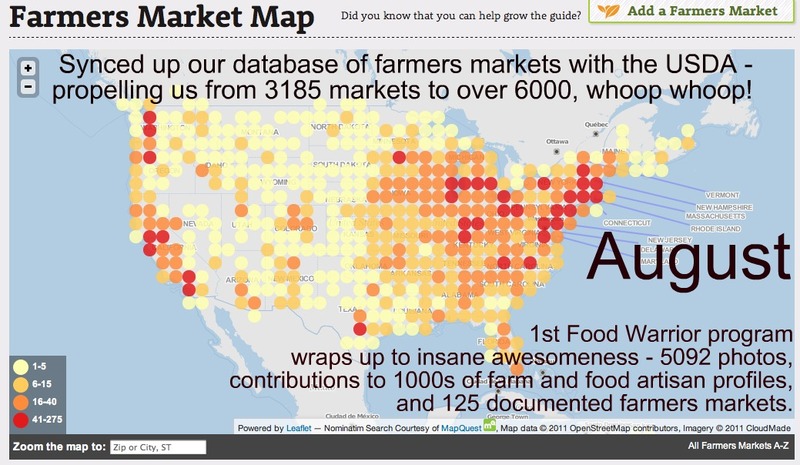 In our constant quest for more data, we integrate the open data from the USDA – clean it, compare it, merge it – voila 6K plus farmers markets on Real Time Farms! 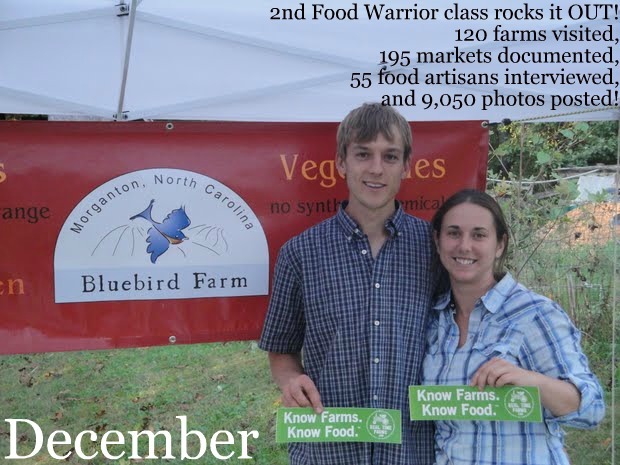 The Food Warrior Internship Program ends with great success! See the highlights! 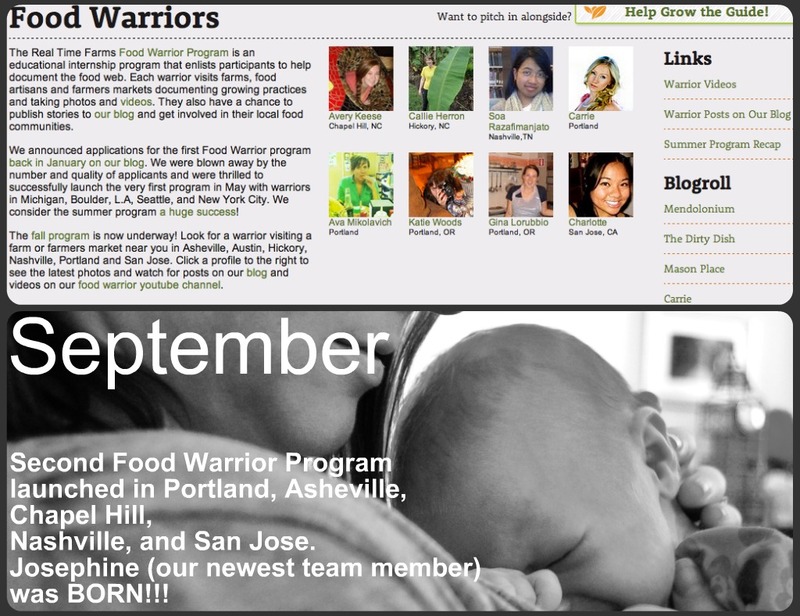 Founding member, Lindsay-Jean Hard, gives birth to Josephine, our newest and youngest RTF team member and we launch the Fall Food Warrior Internship Program. Things come full circle, and we are invited on stage to present at the 2012 TEDxManhattan’s Change the Way We Eat – us, really?! We worked with American Farmland Trust to educate diners and raise money to protect farmland from development in their Dine Out For Farms program. 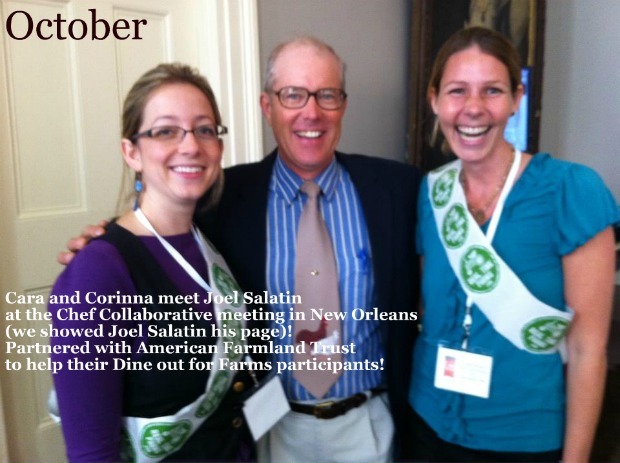 We meet one of our heartthrobs – Joel Salatin of Polyface Farms…. November was full of improvement to the site. 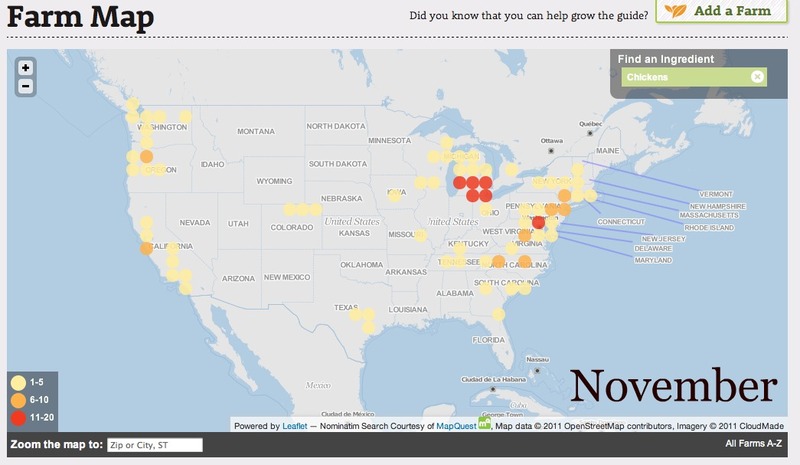 You can now search for an ingredient on Real Time Farms, and see a national heat map of where to find it. (Above shows a heat map for “chicken”). Additionally, you can easily see how that good/animal was grown or raised. 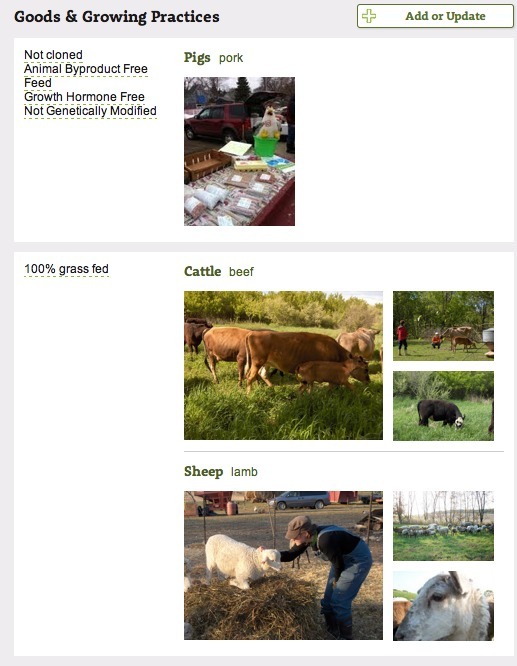 Click on a farm profile, and see a list of goods and their growing practices. Restaurants across the country (including Hawaii) begin to use Real Time Farms web tools to clearly demonstrate their sourcing to consumers. Blessings to you and yours this holiday season! Cheers! This entry was posted in Messages From the Founders and tagged cara rosaen, farmers markets, farms, food traceability, food transparency, Gaurav Bhatnagar, karl rosaen, lindsay jean hard, lindsay partridge, new years eve, Real Time Farms. Bookmark the permalink. Looks great! What a lot of work and progress for 2011. You guys rock! What a year! The maps look great! Congratulations!